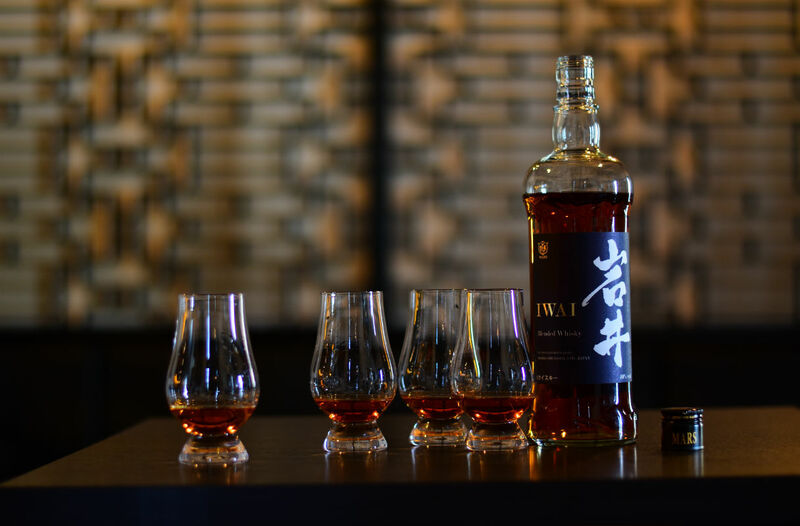 Award-winning spirits producer Mars Whisky, Japan’s third oldest whisky maker, arrives officially in Singapore with its Iwai range of blended whiskies. Two names basically float to mind when you talk about the history of Japanese whisky – Shinjiro Torii and Masataka Taketsuru. Shinjiro Torii is the founder of Suntory, probably the best known Japanese whisky producer behind the Yamazaki, Hakushu and Hibiki brands. Masataka Taketsuru was the other pioneer in the Japanese whisky industry establishing Nikka in 1934. There’s one other name that not as well known but just as influential – Kiichiro Iwai. Iwai was Taketsuru’s mentor; he later would found Hombo Shuzo in Yamanashi prefecture, which started producing wine and whiskies under the Mars brand in 1960. Due to explosive growth the distilling operation was moved to newly-built Shinshu distillery at the foot of Mt. Komagatake in 1985 (the Yamanashi site continued producing wine). Sadly production was halted in 1992 due to the drop in global demand for whisky, and only restarted in 2011 when demand rebounded. Now we mentioned all this trivia for a reason; nothing is insignificant. We know that due to excessive global demand, prices for Suntory and Nikka whiskies have shot through the roof. And that’s assuming you can even get your hands on any; both Suntory and Nikka have been discontinuing even NAS (non-age statement) whiskies due to depleted inventories. This is not quite the case for Mars. Their remaining aged stock may be modest and kept for intermittent special releases like the Komagatake 10, but because production restarted in 2011 much of the resulting supply is starting to come of age. And which is why Mars Whisky has finally announced that its Iwai range is now officially available in Singapore. The core range of Mars Whisky is the Iwai collection, comprising of two blended expressions: the Iwai Japanese and the Iwai Tradition. Iwai Tradition is a hat tip to typical Scotch whisky; it’s matured in a combination of former​ sherry, bourbon, and wine casks and comes with a tint of peat. Iwai Japanese on the other hand is – ironically – inspired by American whisky, aged as it is in ex-bourbon casks for a lighter, oakier and more floral expression. Mars Whisky is now available in bars like Anti:dote, Neon Pigeon, The Winery Tapas Bar, and Wheeler’s Estate, ranging S$140-S$160 for the Iwai Japanese, and S$190-S$220 for the Iwai Tradition. Mars Whisky is distributed by Barworks Wine & Spirit Pte Ltd.